China wants to replicate the American shale gas boom and use shale gas as a “bridge fuel” in its transition towards an energy system largely based on renewables. The Beijing based Rock Environment & Energy Institute (REEI) takes a look at the challenges with this approach. China possesses up to 36 trillion cubic meters exploratory reserve and holds one of the largest reserves in the world. In March 2012, the Chinese government issued the “Shale Gas Development Plan (2012-2015)”, in which the output goal of 6.5 billion cubic meters by 2015 was envisioned, and 60-100 billion cubic meters by 2020. The Chinese government thinks highly about shale gas and considers it a bridge fuel to restructure the energy mix and to reduce the share of coal, believing that it is feasible to develop shale gas vigorously by copying the assumed successful lessons from the American shale gas boom. However, achieving this strategy will face the following two challenges. According to BP’s Statistical Review of World Energy 2015, China’s consumption of primary energy was 2,970 Mtoe in 2014, with coal accounting for 66%, oil for 17.5% and natural gas for 5.6%. Coal overwhelmingly dominates China’s energy system, resulting in air pollution and high carbon emissions. To solve these problems, China has begun to increase the consumption and import massive amount of natural gas since 2011. According to the government’s “Energy Development Strategy Action Plan 2014-2020”, natural gas will account for 10% by 2020 in China’s national primary energy mix, equivalent to over 360 billion cubic meters, a double increase from 2014 to 2020. While high natural gas consumption is expected in the future, the output of shale gas in China has not been catching up. The production in 2014 was only 1.3 billion cubic meters, there is still a doubt whether China could achieve the target of 6.5 billion cubic meters by 2015. The National Energy Administration therefore lowered the quantitative target of shale gas exploitation in 2020, down from 60-100 billion cubic meters to 30 billion cubic meters. From this perspective, even if the output target is achieved by 2020, shale gas still accounts for only 8.5% of the target consumption of natural gas that year. Over the past decade, the most important external driving factor to promote China’s development of shale gas was the unexpected development of shale gas in the United States. China hopes it can replicate the example of America, but the time window to develop large-scale shale gas in China will be the decade of 2021-2030. By around 2030, when China’s carbon emissions peak, fossil fuels, including natural gas, will have to result in lower carbon emissions. In addition, renewable energy will be more cost-competitive in the future. Thus the transition period for renewable energy to replace fossil fuels and dominate energy system will be taking place in 2030-2050. The post-2030 international and domestic climate policy environment will not provide a substantial opportunity for developing large-scale shale gas reserves. In order to replace coal, natural gas will maintain a high growth rate in 2021-2030. The proportion of natural gas in primary energy consumption will increase from 10% in 2020 to 15% in 2030, approximating 650 billion cubic meters annually by 2030. If the share of shale gas grows rapidly after 2020, we assume that the domestic shale gas production will account for 40-50% of natural gas consumption by 2030; the United States achieved this in 2014. Thus China’s annual extraction of shale gas will be 260-325 billion cubic meters by 2030. Such huge development can only be achieved by the support of higher subsidies. In order to control the amount of subsidies, however, the government has lowered the subsidy rate in 2015 for shale gas, from 0.4 RMB per cubic meter in 2012-2015, to 0.3 RMB per cubic meter in 2016-2018, and further down to 0.2 RMB per cubic meter in 2019-2020. According to the target in 2020, the direct subsidies for shale gas will be 6 billion RMB (circa 0.94 billion USD), which is equivalent to 9% of the added value of renewable energy in 2014. 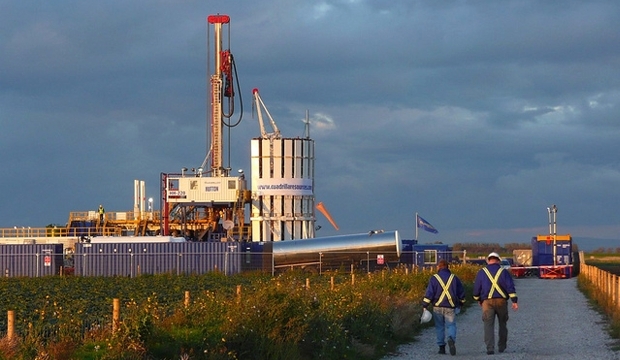 Another major challenge is whether the scale of investments can keep up with the exploitation of shale gas. Total investments needed are estimated to be around 160 billion USD if China wants to explore 300 billion cubic meters annually. Facing such huge investment figures, the policy makers should take a careful look at the role that shale gas can play as a bridge fuel in the country’s energy transition. Here, policy makers need to consider international climate policy, the environmental and social impact of shale gas development, price fluctuations of international oil and gas market and overall economic trends. Previous PostGermany is 20 years away from 100 percent renewable power – not!